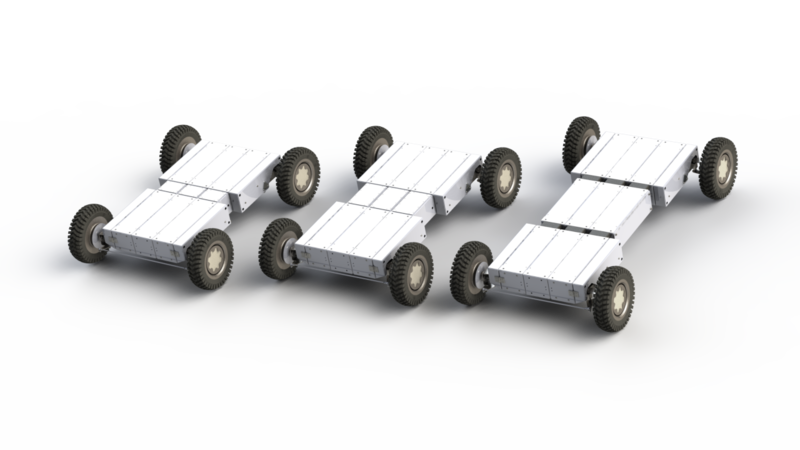 KURT vehicles are based on a patented modular and scalable architectural concept that is very well adapted to electrical propulsion. The City-KURT vehicles are assembled from standardised modular units at all levels. By combining different modules, vehicles of different sizes can be obtained and customised for different purposes. A specific superstructure, reusing modular elements, results in different applications without having to redevelop the propulsion system. Besides the configuration of high strength aluminum boxes, battery capacity, motor performance and wheels can be adapted. The result is a range of energy and cost-efficient vehicles with adequate ranges matching the user needs. Assembly is easy and swift and does not require special production equipment. As the vehicles have a limited speed (25 or 45 km/hr), they have mild homologation requirements (L1-e L6-e or L7-e categories).